Photos: Glengarriff woods and Bantry House, Co. Cork, SW Ireland. 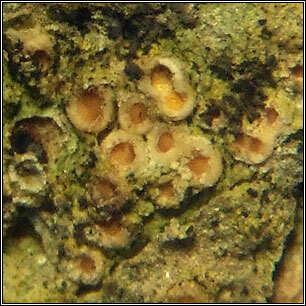 Thin, inconspicuous, whitish-grey or greenish thallus. 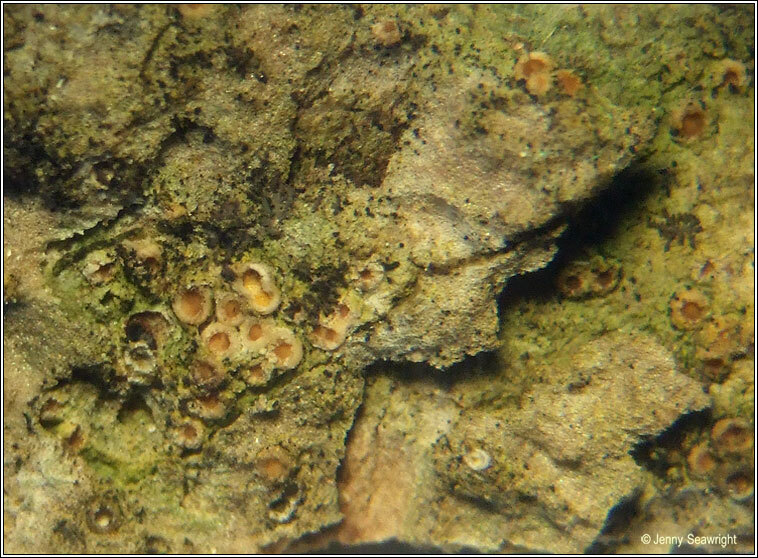 The very small (0.2-0.5mm) orange or pale pinky-brown apothecia, usually immersed, +/- smooth, thick, cream margins. 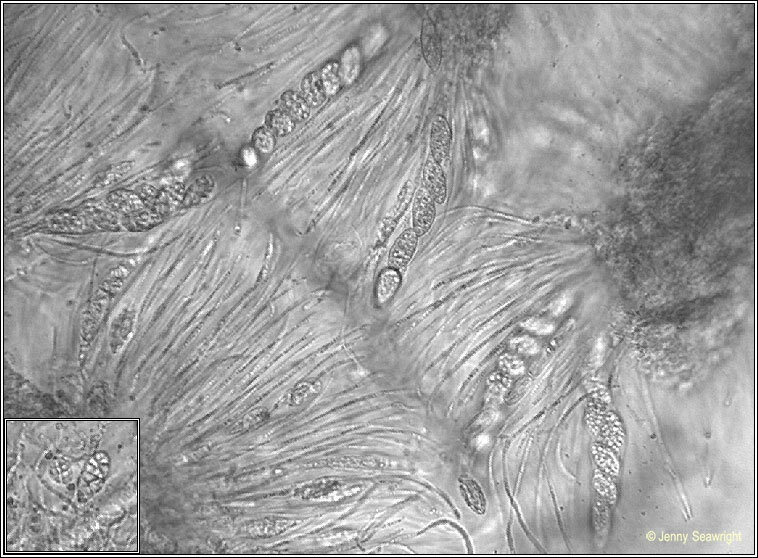 Spores are muriform with 6-12 cells, 14-28 x 5-9 µm. Microscope photo below. Chemical reactions negative. 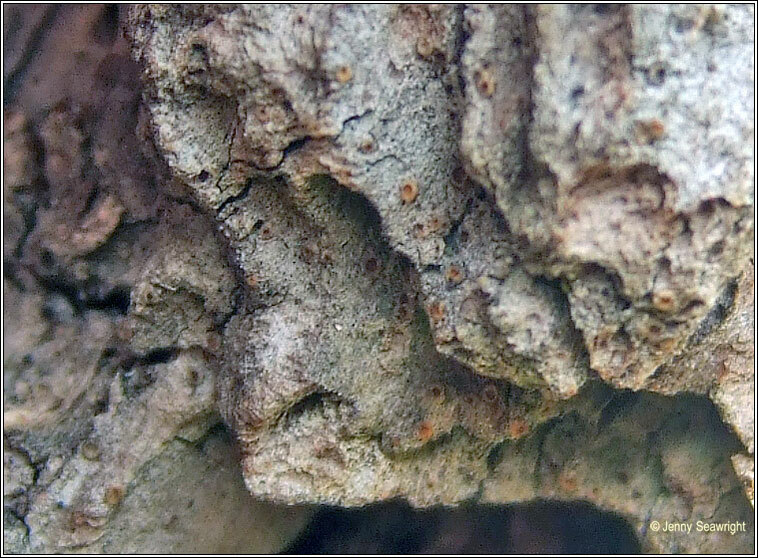 Can be common in rain tracks on well-lit, nutrient-rich bark of basic barked trees e.g Ash and acers. Rare on old mortar. Similar: G. flotowii, rare, spores +/- spherical with 6 or less cells. Gyalecta jenensis is found on rocks and mortar.